Home» TS GO's | TS LATEST UPDATES » TS G.O.RT.No. 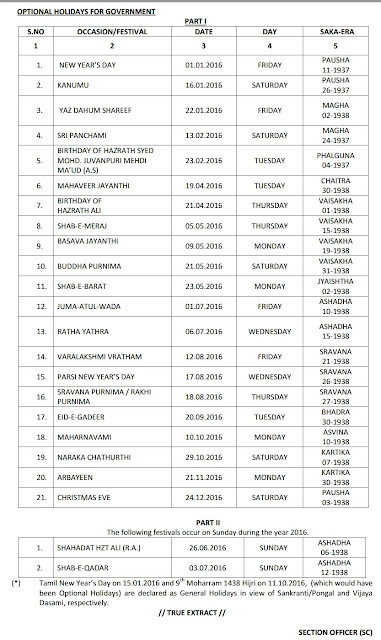 3192 HOLIDAYS- General Holidays and Optional Holidays for the year 2016 Declared. TS G.O.RT.No. 3192 HOLIDAYS- General Holidays and Optional Holidays for the year 2016 Declared. TS G.O.RT.No. 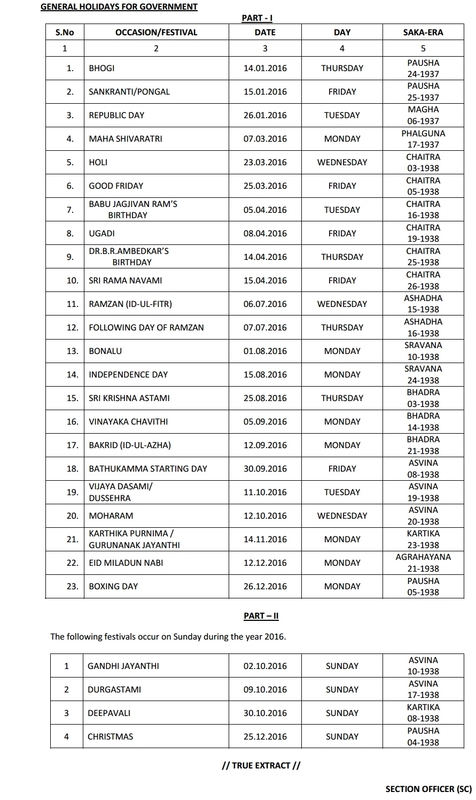 3192 HOLIDAYS General Holidays and Optional Holidays for the year 2016 – Declared. 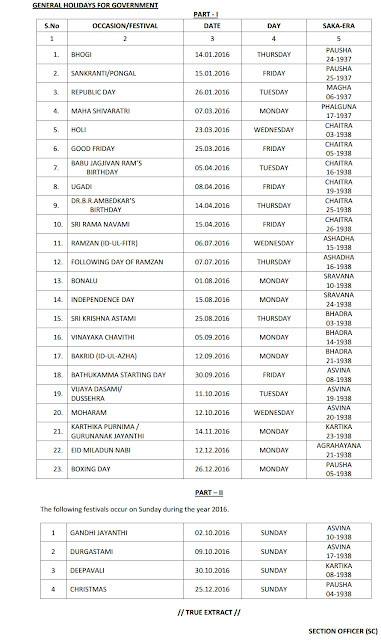 sight or any other holiday declared now, it shall be announced throughelectronic/print media. All the Departments of Secretariat, Heads of Departments and District Collectors shall take action according to such an announcement and without waiting for formal order about the change of date. DR. RAJIV SHARMA CHIEF SECRETARY TO GOVERNMENT.